We had a very successful opening weekend to kick off the spring season. We played Muskego and defeated them soundly 84 to 0. Then we played our B Side Match against Wauwatosa and got a lot of good minutes in for our rookies. I hope all you ladies had fun and are excited for our big trip to St. Louis this weekend. Two buses will be leaving on Friday at 12:30 and then a third will leave round 4pm. We will be staying at the Double Tree Hotel in St Louis and will be staying over Friday and Saturday nights. We will be returning on Sunday evening hopefully before 8 pm. If there are any questions or concerns about the trip feel free to call my cell. More details will be delivered to your daughters this week at practice! First Spring Practice!!!! Time Change!!!!! Our First Spring Practice will be Wed. March 16th @ Dixon Elementary School. The practice will run from 6:30 to 8:30. Please be sure to bring tennis shoes wil non marking soles as we will be practicing on a basketball gym floor. 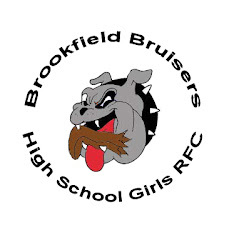 If anyone you know missed the registration meeting and still wishes to be a Bruiser in the Spring, bring them along to practice!